Good rains in many parts of the country have lifted the agricultural outlook. However, a healthy farming sector depends on much more than favourable production conditions. 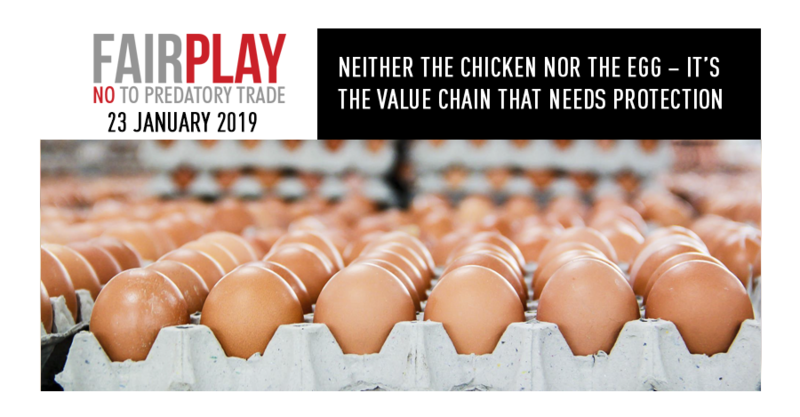 Far from the fields and the farms, the outcome of the SA Poultry Association’s application for higher import tariffs on chicken portions currently being reviewed by International Trade Administration Commission (ITAC), will have a major impact on local agricultural sector as a whole. The SAPA application advocates for more than a fair division of market share between locally produced and imported meat; it fights for the wellbeing of an entire value chain. The feed link in this chain illustrates the point. Every locally produced chicken that ends up for sale, has eaten about 3kg of feed along its journey from broiler to reaching slaughter weight. Multiply that by 988 million – the approximate number of birds produced per year – and the numbers become significant. 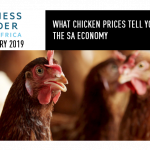 Chicken feed accounts for 40% of all the animal feed manufactured in South Africa, and is worth around R20 billion per year in gross turnover terms. 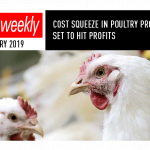 According to De Wet Boshoff, CEO of the Animal Feed Manufacturers Association (AFMA), chicken dumping is the animal feed industry’s single biggest challenge. He says that over the past year, dumping displaced about three million tonnes of locally produced feed, which is the output of about 30 medium-sized feed factories employing between 5 000 and 10 000 people. While not 30 factories have closed, the industry as whole, and smaller producers in particular, has taken a hit. In fact, the combined impact of dumping, the protracted drought and avian influenza, has seen the chicken feed industry contract by 6% over the past three to four years; its previous worst performance was a 1% growth rate. ITAC will do well to consider the bigger picture when deliberating the application for higher import tariffs. A value chain, an industry and a region are at stake.